Upton Sinclair is primarily known as the Pulitzer Prize-winning author of The Jungle, Oil, and Dragon's Teeth, an as a fiery advocate of social justice and reform. Few know, however, of Siclair's deep interest in, and connection to, psychic research. Sinclair's own wife, Mary Craig Kimbrough, claimed to have "mind reading" or telepathic abilities, and asked Sinclair to help her better understand these abilities. He devised a fascinating series of 300 tests that incontrovertibly proved the reality of telepathy while revealing the vast, untold powers of the mind. In one room, Sinclair would make a drawing and place it into a sealed envelope, while in another, Mary would "tune in," retrieve the image, and make her own copy. Or she would record a telepathic message sent from someone far away. Her accuracy rate was astonishing, leaving no room for random chance as an explanation, as they continued to collect scientific data over three years. 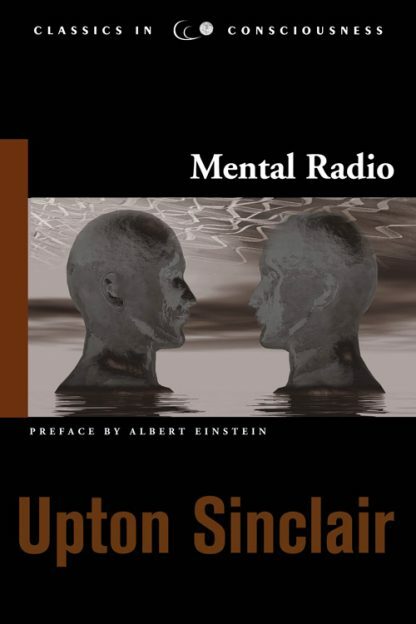 In Mental Radio, Sinclair describes remarkable experiments, comparing telepathy to radio broadcasting, with one brain sending out a "vibration" and another picking it up. The results convinced Sinclair that telepathy is real, that it is unaffected by distance, that it can be cultivated, trained and�most importantly�can be verified and studied scientifically. For the first time in many years, here is the complete text of Mental Radio, including Mary Craig Kimbrough's well-tested instructions on how to learn the "art of conscious mind-reading." Here is the classic book that impressed Albert Einstein who, in his preface to Mental Radio, praises Sinclair for being a conscientious observer and writer and for his good faith and dependability in reporting paranormal research. William McDougall, known as the "Dean of American Psychology" at the time, was so inspired by Sinclairs' work that he established the parapsychology department at Duke University, which went on to become, for a time, the country's premier paranormal research institution.